Prior to 1971 Tichigan Lake had no Fireworks. The day was spent by individuals spending the day at their cottages, going boating, and shooting off their own caps and running around with sparklers. 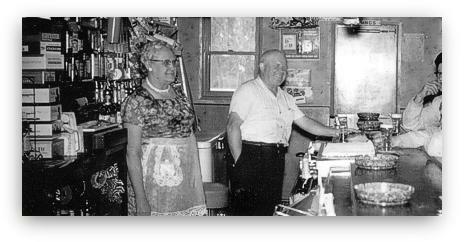 Erwin (Kruschev as he was always called) and his wife Phyllis Piotrowski who were the owners at the time of the Fox Point Resort, which was located on the west side of Tichigan Lake, had their granddaughter Nancy who came out with her parents to see what Tichigan Lake had to offer in the way of Fireworks. Nancy was very disappointed that Tichigan Lake had nothing to offer in the way of fireworks. She expressed her disappointment stating "What's July 4 without any bangs!" Not wanting to disappoint Nancy, Kruschev decided to check around and it was a customer named Ray (Moose) Ackerman that came into the picture. He loved to shoot off the fireworks as a hobby in his yard. He was asked to bring his display to Fox Point Resort and shoot them off the shoreline of Tichigan Lake. So on July 4, 1971 the first display was set off. Even though it only lasted 10 minutes, it was well appreciated. From 1971 - 1981 it was Kruschev who planned the annual 10 minute display. For several years, Kruschev would go around and collect donations for the annual display. As the years passed so did the fireworks! So the Tichigan Advancement Association took over raising the funds. Ken Brazeau and Gil Westline were now in charge. However, Kruschev still did some soliciting. Kruschev's daughter Barb Krizan had helped her father with many of the fundraising events. In 1981 Kruschev became ill and asked his daughter Barb Krizan to head the annual fireworks display. Respecting his wishes, she took over and headed the yearly celebration. Barb told him "Dad I can't do what you did" and he responded "No, I think you'll do better." It was decided that a Tichigan Fireworks Committee should be formed. Two members of each organization were selected to be on the committee. 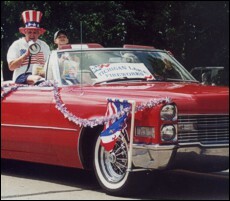 Barb had been the President and Secretary since 1987 until her death on Jan, 5, 2012. In the early years the Tichigan Fireworks Committee's meetings have been held in varies locations. From the Tichigan Fire House, to private homes and then finally at Ice Herman's Resort. The first meeting was held in the cold in front of a committee president's garage because he wasn't home. Since 2012 the monthly meetings have been held at What About Linda's? In 1986 the annual fireworks display almost ended. There were only 3 committee members left and 2 of the committee members did not want to continue. Barb felt that the annual fireworks display was still an integral part of the area's summer. She didn't know what to do, so she placed an ad in the Waterford Post for volunteers for the fireworks committee. A few people did respond to her plea because they didn't want the annual fireworks to come to an end, and to date Tichigan Lake still has a continuing annual fireworks display. 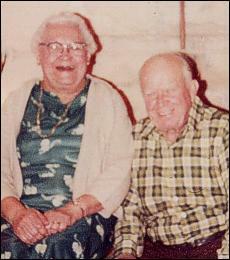 Also Barb's father Kruschev had died in April of 1986. So there were 2 major blows to the annual fireworks display. 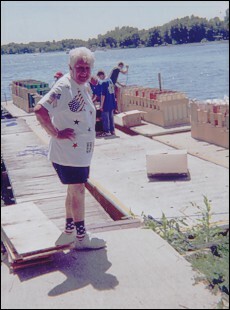 When Ray (Moose) Ackerman passed away in 1987, Bartolotta's Fireworks Company did the annual fireworks display, until 1990 when J & M Displays took over. Also in 1987 something was added. The committee wanted the homeowners along the shoreline to purchase and light flares as the Grand Finale went into the air to show their appreciation. It was also the year that it was decided to add more color to the annual fireworks display. In August 2000, the Tichigan Fire Chief announced to the Town Board that the fireworks needed to be moved to Jensen Park for safety reasons. The large crowd of spectators at Dooley's made accessibility difficult. This would mean the Fourth of July fireworks would no longer be on the water. After viewing Jensen Park, the Fireworks Committee decided they wanted to stay on the water. A meeting was held with the Tichigan Fire Chief, the Fireworks Committee and J & M Displays. It was decided to get barges for the 2001 display. This resulted in launching the fireworks from the floating barges rented from a local pier service. So the fireworks remained at Dooley's (formerly known as Ice Herman's). In July 2002, for the first time in 31 years, The Fourth of July Fireworks Display was delayed 1 hour and 10 minutes due to two major factors, both dealing with the challenges of shooting fireworks from barges in the middle of the lake. That year the fireworks and the finale were to be done all from the barges. The morning of the fireworks 2 barges were dropped off and a third barge that was already on the lake would be used for the grand finale. When it was deemed that the third barge was not safe, another barge would be needed to be brought in. It didn't get here until 12:30pm. This meant that the employees of J & M were behind schedule from the beginning. There was an additional problem with the wire connections which kept getting wet due to the waves crashing against the barges from nearby boats and jet skis on the lake. Due to the waves J & M needed to place all the shells in plastic bags before putting them into the mortars. Once the three barges made it to the middle of the lake (about 10pm) all the wires had to be reconnected and checked because the barges were tied together and had jostled. This made a lot of spectators very unhappy, but safety always comes first. Also in 2002, the Tichigan Fire Chief decided that he wanted another location for the 2003 fireworks display. He suggests Barb Krizan and her committee brainstorm on how to waterproof the barge, and exhaust all possibilities for finding a new launching site and accommodate all the needs of the pyro technicians to put on a safe and timely fireworks display. In 2003, after searching several areas, a location on the northeast side of Tichigan Lake was selected and those neighbors let J & M use the property to load the fireworks into the canisters and to put the fireworks display on the barges. This location was used until 2008 when a new location needed to be found due to weeds in this area. 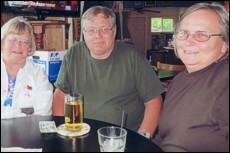 Since Dooley's closed in 2006 and Tom Hinz bought the property, Barb approached Tom to see if the fireworks could be loaded and pulled out to the lake from his property because there really wasn't a good spot to load the fireworks and pull the barges into the middle of the lake. He said yes. And ever since 2008 the fireworks have been loaded and shot off at the old Dooley's Knot Inn (formerly known as Ice Herman's). Fireworks displays back in the 1970's only lasted 10 minutes. Today they last one-half hour. The Tichigan Lake Fireworks Display continues to be the best in the area. According to Barb on 6/16/1996 she stated "Her father would never have dreamed back then that what began as basically a neighborhood show costing several hundred dollars would grow to become one of the area's biggest holiday attraction!"